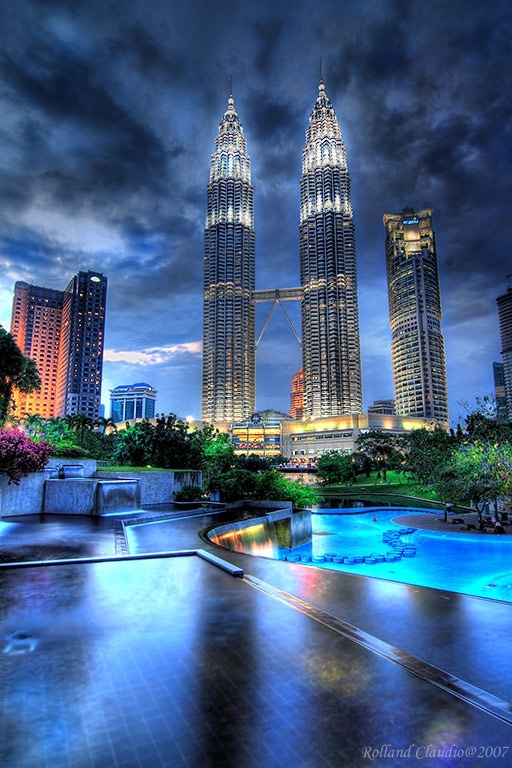 The Petronas Towers, also known as the Petronas Twin Towers are twin skyscrapers in Kuala Lumpur, Malaysia. According to the CTBUH's official definition and ranking, they were the tallest buildings in the world from 1998 to 2004 until surpassed by Taipei 101. The buildings are the landmark of Kuala Lumpur with nearby Kuala Lumpur Tower. The Petronas Towers were the tallest buildings in the world for six years, until Taipei 101 was completed in 2004. The height of the towers is measured to the top of their structural components such as spires, but do not include antennas. Spires are considered actual integral parts of the architectural design of buildings, to which changes would substantially change the appearance and design of the building, whereas antennas may be added or removed without such consequences. The Petronas Towers still remain the tallest twin buildings in the world.